Released 18th January 2019 on earMUSIC Records. Limited Edition with 7" Single. Joe is an English musician and singer-songwriter. After years of studying music and playing clubs, Jackson's first release, "Is She Really Going Out with Him?" became a hit in 1979. This was followed by a number of new wave singles before he moved to more jazz-inflected pop music and had a Top 10 hit in 1982 with "Steppin' Out". He has recorded 19 studio albums and received 5 Grammy Award nominations. '“Fool”, once again showcases Jackson's incredible musical diversity and unique artistic vision. 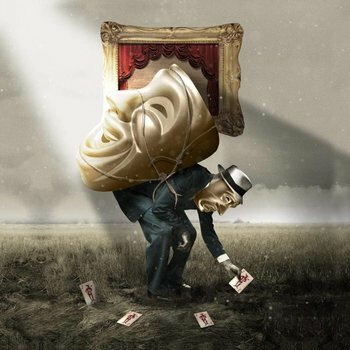 If the album had a theme, it would be Comedy and Tragedy and the way they're intertwined in our lives. Despite what the title may suggest, none of Joe Jackson's remarkable songwriting, although multi-facetted, does in any way sound foolish. It is rather a sense of masterful craftsmanship and intent that defines “Fool”. The listener will find jazz, classic and – of course – pop influences that fuse to make an artistically valuable as well as entertaining experience. Joe Jackson is celebrating 40 years of being a recording artist with touring the world with his band.The Limited edition LP format includes includes a bounus 7" singles with tracklisting 1. Night By Night (Bonus Track)* 2. Peter Gunn (Bonus Track)* - the only way to get these 2 tracks physically. 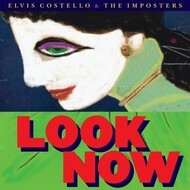 ELVIS COSTELLO AND THE IMPOSTERS - LOOK NOW (Vinyl LP).